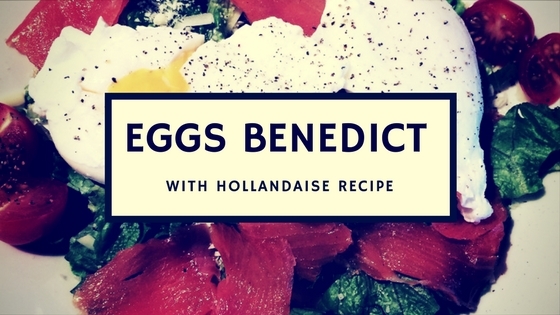 Benedict: Eggs can be poached and chilled up to 2 days before serving. Fill a medium bowl halfway with warm water. Fill a 4 quart saucepan halfway with water, stir in white vinegar and bring to a gentle simmer. Break each egg into a small dish. Slide one egg into saucepan and immediately push the white around the yolk with a slotted spoon to form an oval shape. Poach egg for 2 minutes for runny yolks, or 3 to 4 minutes for firm yolks. 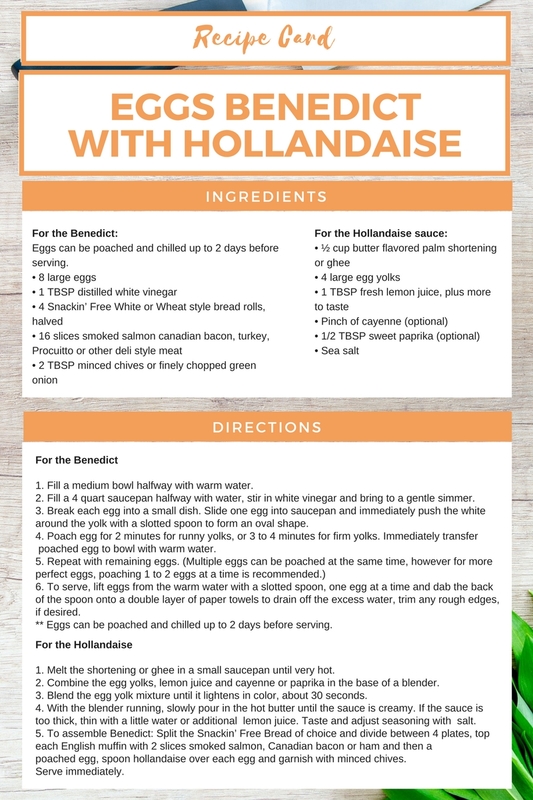 ** Eggs can be poached and chilled up to 2 days before serving. Melt the shortening or ghee in a small saucepan until very hot. Combine the egg yolks, lemon juice and cayenne or paprika in the base of a blender. Blend the egg yolk mixture until it lightens in color, about 30 seconds. With the blender running, slowly pour in the hot butter until the sauce is creamy. If the sauce is too thick, thin with a little water or additional lemon juice. Split the Snackin’ Free Bread of choice and divide between 4 plates, top each English muffin with 2 slices smoked salmon, Canadian bacon or ham and then a poached egg, spoon hollandaise over each egg and garnish with minced chives.